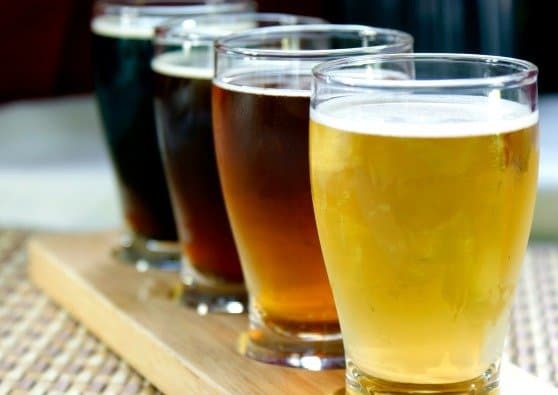 For the sophisticated beer drinker, one must tantalize the senses with the best accoutrements and allure the palette with carefully crafted gastronomic delights. Also, drinking beer is fun! 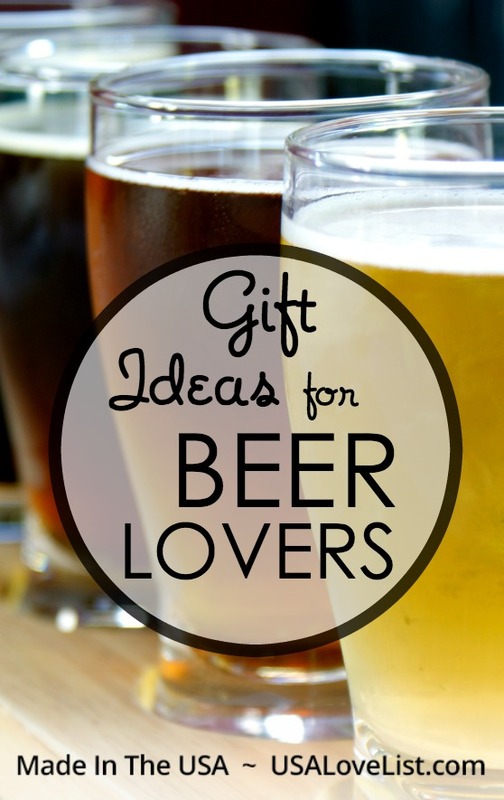 Our beer lovers' gift guide is a great place to find the perfect made in USA gifts for beer lovers in your life. 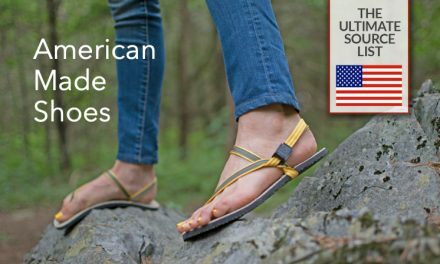 Don't miss our list of American made gift ideas for wine enthusiasts and our list of made in USA gifts for craft cocktail enthusiasts. 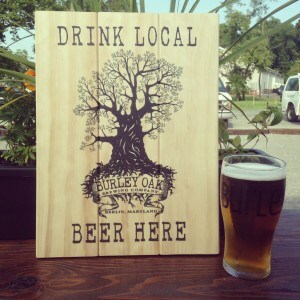 This Beer Cap Map is crafted from baltic birch plywood. 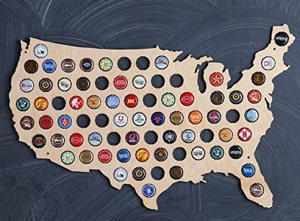 The USA-shaped display board offers cap collectors an alternative to keeping track. The openings have small teeth that fit the crimped edges of caps to hold them securely, and the board sports additional holes to hang the whole display on a camp, dorm, or man cave wall. Handmade in Tampa, Florida. 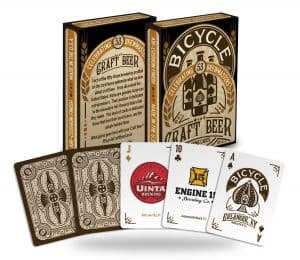 Bicycle Craft Brewing Playing Cards features 53 original card faces, each with a different craft brewery logo. The cards are standard poker size cards featuring breweries from all around the USA. 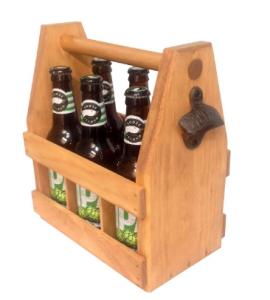 A handcrafted wooden 6 pack holder makes a unique gift for the craft beer drinker. This one made in the USA by HF Woodworking has a bottle opener with a magnetic cap catcher. 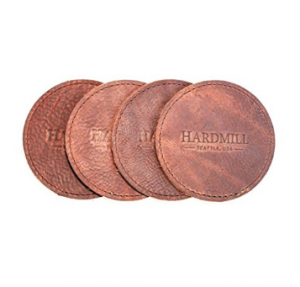 I love Hardmill leather coasters that are handmade in Seattle, Washington. They are made from double sided oil tanned leather. These make a perfect gift for almost anyone, but especially someone who might need a little help making their man cave look a bit more sophisticated. We've told you before how much we love Plak That. You can upload any photo to its website and have it printed on wood. It's a unique and personal gift. I have a few of my own and everyone who sees them loves them! 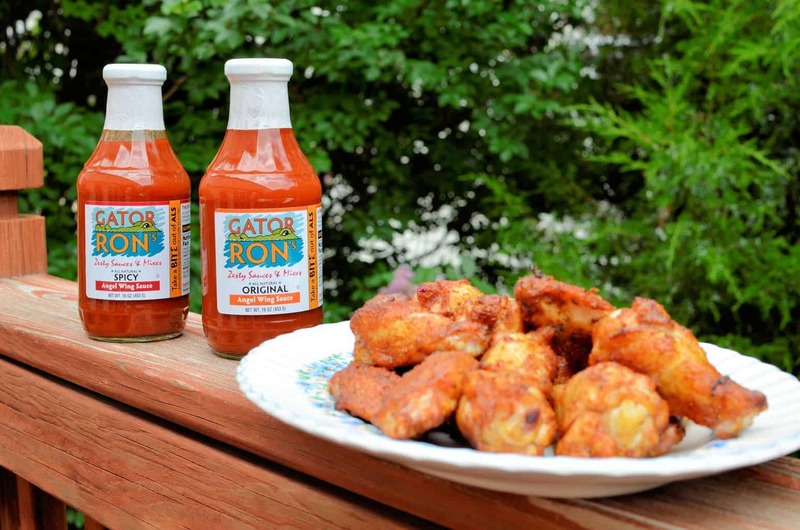 You have to have good eats while you're drinking. 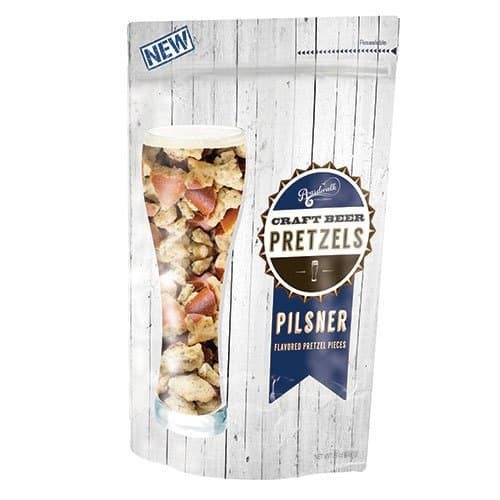 Up your snack game with Boardwalk Food Company Pilsner Flavored Craft Beer Sourdough Pretzels. Thes ready to eat pretzels have a refreshing taste with a slightly herbal finish packed into a crunchy, sourdough pretzel. I love a good pickle. 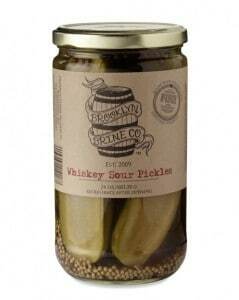 Brooklyn Brine's Whiskey Sour Pickle isn't just a good pickle – it's my favorite one. The delicate balance between sour and sweet is perfectly done. The faint sweetness comes from the semi-sweet apple cider vinegar brine. The spice blend of serrano chili, chipotle peppers, garlic, dill, and other spices aren't overpowering, but rather balances out the sweetness from the vinegar. 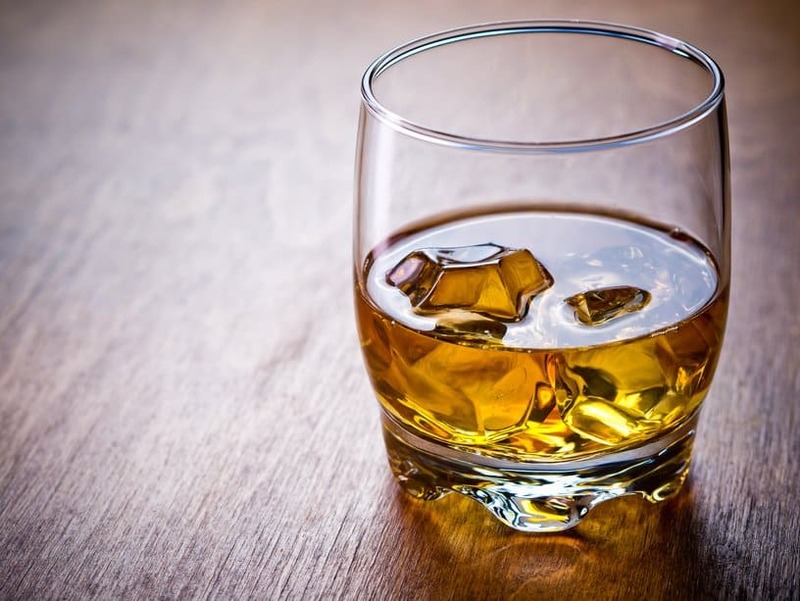 American made McKenzie Rye Whiskey from Finger Lakes Distilling adds the right about of bite. I suggest you pair these pickles with a Blue Moon to bring out the notes of orange peel and cardamom from the whiskey. If you're ever in Brooklyn though, be sure to visit Brooklyn Brine's own brinery store. This list is a blessing for me. I have a very serious craft beer lover on my list and I always feel good about buying American made . My brother in law makes his own craft beers and is really into it. These are great gift ideas for his birthday! Wow! those glasses looked pretty great. Love these ideas for my husband! The crest bottle opener looks like a piece of art! 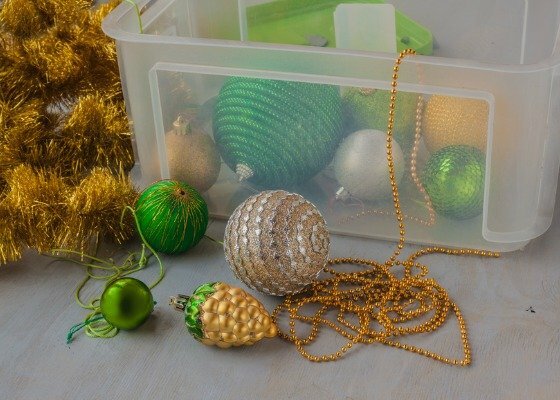 These are definitely fun and unique gifts for anyone. I think I would certainly enjoy the Boardwalk Food Company’s Cornbread Beer Bread Mix.